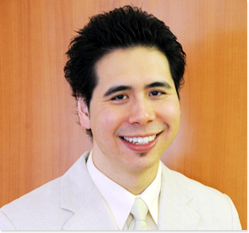 Dr. Samuel Chiu is a highly skilled and knowledgeable individual with a friendly and compassionate nature. A born native of San Francisco, he completed his education at his local George Washington High School and then his undergraduate studies at the University of California, Berkeley. He then journeyed away for a few years to pursue his Doctor of Dental Surgery degree at the New York University College of Dentistry. He graduated in 2007 with the OKU National Dental Honor Award as he was in the top 4% of his class. Dr. Chiu moved back to the West Coast to attend the Prosthodontic Specialty Residency Program at the University of California, San Francisco where he graduated in 2010. He currently works in private practice and teaches clinical prosthodontics to students and AEGD residents at UCSF. Dr. Chiu’s hobbies include cooking creatively, running, being a foodie, working out at the gym, watching movies, and any simple pleasures of life. Dr. Sukhmani Singh is a kind natured, calm yet charismatic person, who puts her patients first. Born in Canada, she completed her undergraduate studies at the University of Toronto and then moved to the States in 2000. She went on to receive her Doctorate of Dental Surgery from the University of Southern California in 2004. After dental school, she completed a one year General Practice Residency at the Los Angeles County-USC General Hospital and VA program. 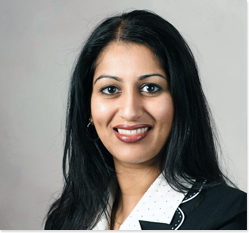 Dr. Singh worked for another year in private practice and at the hospital in Southern California before she entered the Prosthodontic Specialty Residency Program at University of California, San Francisco, from which she graduated as the chief resident in 2009. Dr. Singh works in private practice and actively teaches clinical prosthodontics at UCSF as well. In Dr. Singh’s spare time, she enjoys reading, working out, cooking, trying out restaurants, and knitting. Both doctors are trained as Prosthodontic specialists in full-mouth rehabilitation, advanced crown and bridge work, implant dentistry, and all types of dentures. Their professionalism and attentiveness to detail set them apart! They both have a calm and honest nature that allows patients to feel comfortable and respected. We stay involved in our dental community by affiliating with many organizations, some shown below. We welcome you to our practice to be active participants in your dental care and promise to provide you with high quality care that you deserve!